Mark your calendars for our annual celebration of all things handmade! 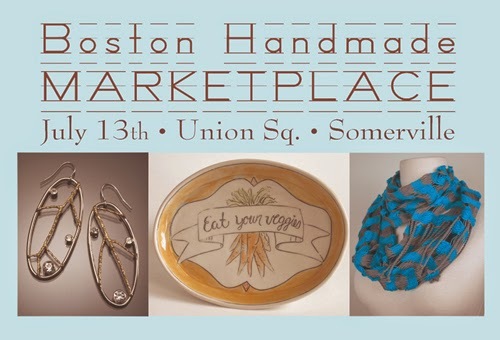 Sunday, July 13th from 11am to 4pm (rain date Sunday, July 20), The Somerville Arts Council and Boston Handmade present an ArtsUnion Event: The 7th Annual Boston Handmade Marketplace, located in Union Square, at the intersection of Washington, Prospect & Somerville Avenue. This annual, free, public event features a select collection of local artists, artisans and craftspeople that create their work by hand in small studio environments. Featured media includes jewlery, ceramics, fine art, textiles, paper goods, accessories, glass, and more! You can also experience and learn about the creative process of our exhibitors who will be doing live demonstrations and leading interactive DIY activities. While you shop or create you will also enjoy performances from Somerville area musicians playing throughout the afternoon. The independent artists, arts organizations, and craft studios participating in the 2014 Boston Handmade Marketplace represent a wide variety of media and neighborhoods from across the Commonwealth and New England. 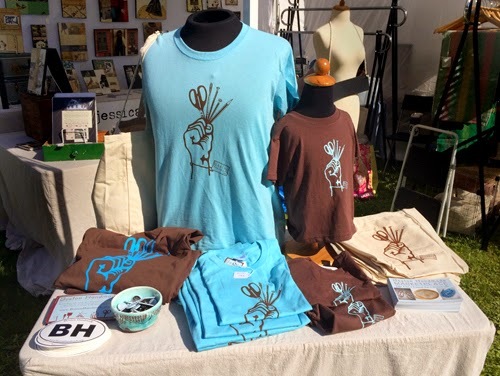 The Boston Handmade Marketplace is an outdoor event celebrating everything art and craft with a vibrant spectrum of invited artists along with members of Boston Handmade. The Marketplace promotes independent businesses and individuals creating one-of-a-kind and limited edition handmade works along with organizations and craft studios that teach and encourage creativity and craftsmanship. Shopping locally and buying handmade goods means you are supporting local small businesses and strengthening your hometown economy while building a stronger and more vibrant community. Be a local Handmade Hero, and say hello to Boston Handmade on July 13th!